Most of us at one time or another have encountered a dog we don’t know. Some of them instantly act like our best friends, while others may scare you out of your wits. 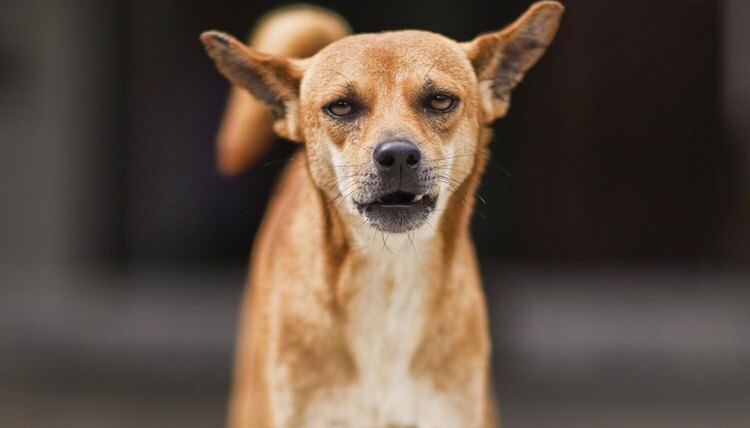 Many stray dogs can be fearful of others, which may quickly escalate into aggression, so knowing how to calm the stranger can help to defuse a threatening situation. Tip #1 - The most important rule to remember is to keep calm and be still. As soon as you spot a strange dog that you sense may become aggressive, stop and stand still. Tip #2 - Do NOT run, make any sudden moves or turn your back to the dog. Dogs love to chase, and if the dog is aggressive or has a strong prey drive, he may chase you. You also want to keep him in your sight at all times. Tip #3 - While keeping him in your peripheral sight, turn slowly so your side is facing the dog. In canine communication, this helps negate a tense situation. Facing a dog straight on can be seen as a challenge, which you want to avoid. Tip #4 - Keep your eyes low and do not make direct eye contact with the dog, as this too can be interpreted as a threat. Tip #6 - In the unfortunate event that you are bitten, do NOT pull away, no matter the temptation to. Pulling back will only encourage him to continue attacking. Try your best to remain calm, and attempt to put an object between you and the dog such as a handbag or backpack. If you find yourself the victim of a no-holds-barred dog attack, you will have to take the last resort—physical force—in order to protect yourself. Kick or hit the attacking dog in the throat, nose, and the back of the head. This should stun the dog enough to give you time to escape. Don't hit the dog on the top of the head (where his skull is thickest), as this will not affect him much and will likely spurn on the aggression. Yell out for help, but avoid high-pitched screaming. See the references below for more information on how to protect yourself in the event of a vicious dog attack. Mother Nature Network: How Do I Safely Approach a Stray Dog?